Our Elle side light adds a bit of glam sophistication to any nook. Place it on a bedside table for a chic ambient light or, hang from a hook on your wall. This is one for grown-up spaces only. If you’re looking for a way to brighten up darker corners of your interiors, look no further than our Elle table lamp. Made up products from our lighting components section and designed exclusively here at D&R to give you a little bit of interior inspiration, this lamp is perfect for adding a glam touch to your spaces. 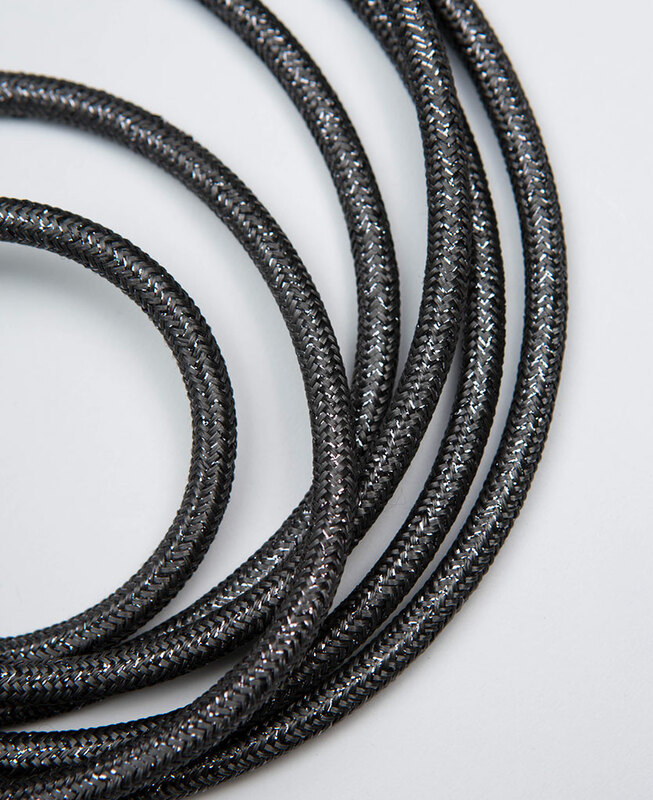 The thing that really shines about Elle is her glamour steel grey fabric cable. It has a luxe metallic finish that reflects light beautifully. It has just the right amount of sparkle, and we love it. 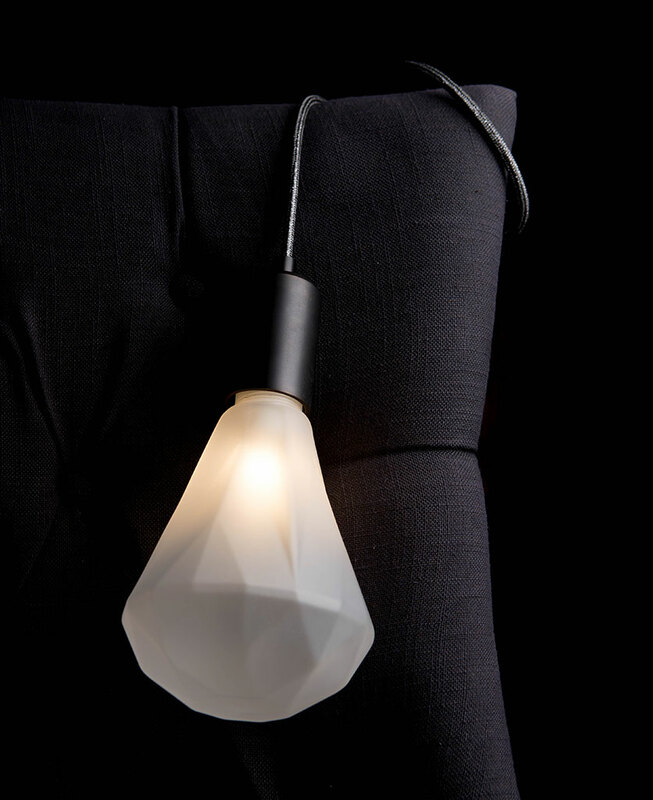 Coordinate this with a bronze bulb cap and a frosted diamond light shade and you’ve got yourself a beauty of a lamp. The handy thing about our table lamps is that they’re not solely limited to being placed on tables. They’re fabulously versatile and are equally at home draped over wall hooks, headboards and chairs to create ambient side lights. So chic. 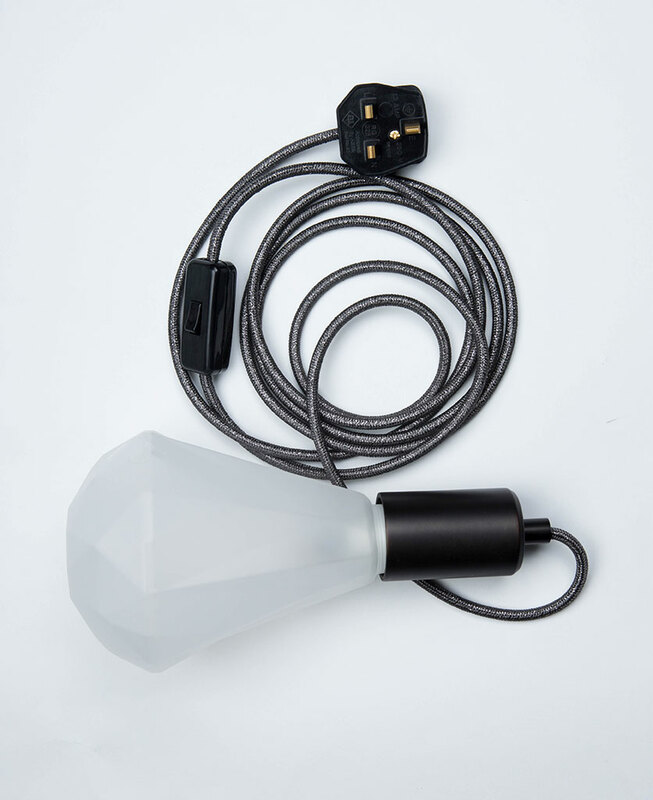 Each lamp is fully assembled with frosted diamond christalle light bulb, a bronze bulb cap, a 3m length of glamour grey fabric cable, black inline switch and black 3 amp plug.